I came up with this idea over three years ago (2014). 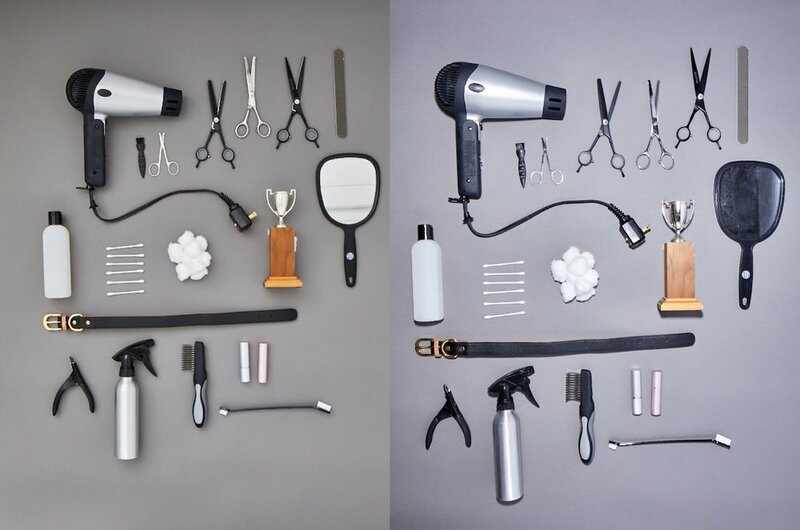 At that time, knolling (overhead photography) was trending. 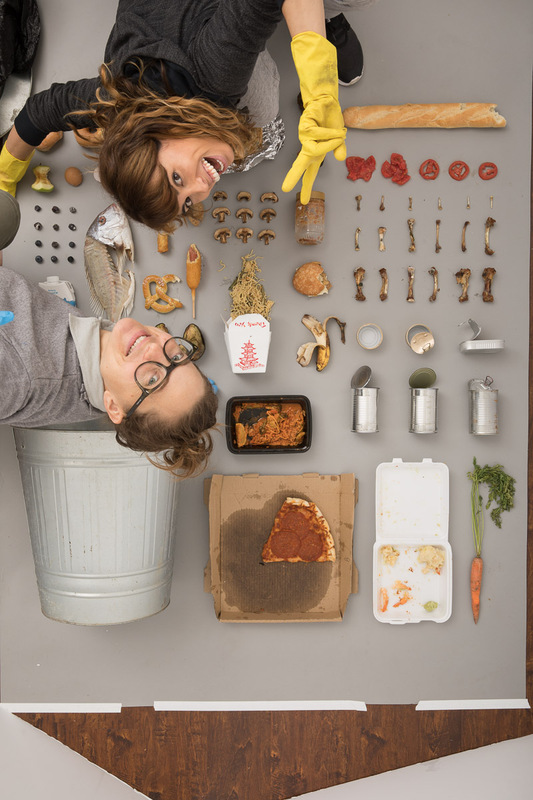 People would arrange their personal possessions on the floor and take a photo from above. 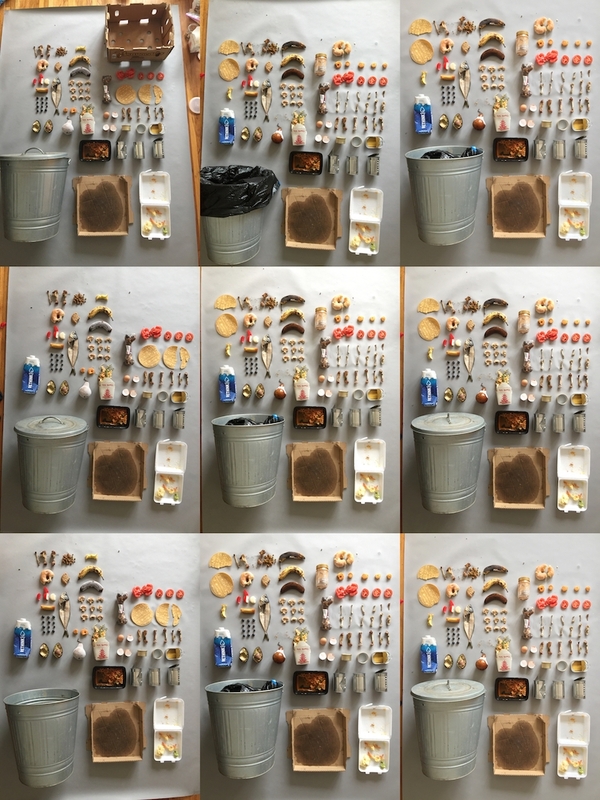 I really liked the approach because by looking at the objects people could get to know quite a bit about the individual who was taking the photo. I thought that it would be really cool to do the same... but with dogs. So, this year I decided to do it. How was your creative process? During the conceptual part, the original idea kept changing. 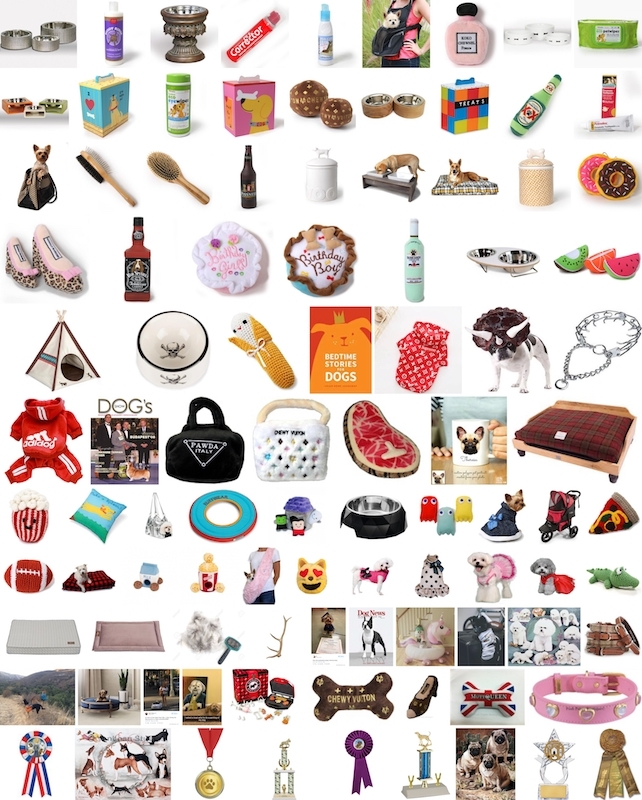 Inspired by Gabriele Galimberti (who photographed kids around the world with their toys) I wanted to find different breeds and photograph their belongings. But then I realized that most dogs have the same items just in different colors and sizes, so I decided that I wanted to do something more emotional and it’s how I came up with “A DOG’S LIFE”, a series of dog portraits that truly portrays what that dog’s life is about at that moment. First I had to decide on the breeds I wanted to photograph. I looked at all the existing breeds and then made a list of the ones I liked the most. After that, I narrowed the list down to breeds I thought would be easier to find in Los Angeles. I then started to look closely at each breed and I put into words what those breeds relate to and how I think their lives were like. From the kind of owners they had, what they did together, if they were from a rescue or a breeder, what toys they liked to chew, their favorite treats, how much the owners would spend on the dog… etc. The Neurotic with all the chewed toys. The Senior that spends her days in hospitals and getting medicated. The Princess that lives in a pink world and has the most extravagant things. The Best in Show, that lives the life of a beauty pageant. The Athlete dog, that is obsessed with fetching just anything. The Stray dog, who lives in the streets and tries to survive with what he finds. I had other breeds and setups I really wanted to do, but I could not find either the breed or the right objects, so I had to pass on that. 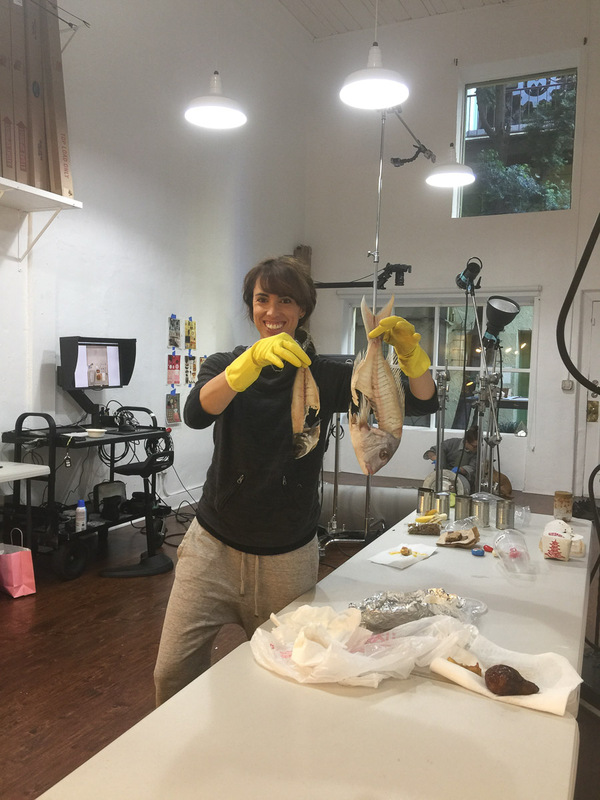 For the items, I spent a lot of time researching online and in pet stores about the look and feel of each of the items I wanted to use. I wanted each setup to be color coherent and each object had to play a strong part in visually telling the dog’s life story at that moment. I also invested time thinking about the lighting and I did some test shots to see what I liked the most. My main debate was if I wanted to have strong or soft shadows for the knolling. Here I was testing soft vs hard shadow to see what I liked the most. I went for the soft shadows. After doing the test and letting it rest for a few days, I decided that I wanted to have soft shadows for the items. The reason behind it was that contrasted and well-defined shadows were competing with the item itself whilst the soft shadow was elevating the object. And how did you find the dogs? I posted posts within several Facebook groups and also used the Nextdoor app calling for dog models. I really thought it would be easier because there are so many dogs in this city and yet, it was really hard to find the right dogs. I wanted different sizes and different color coats. I also had to find dogs that were available on the day I rented the studio and that would know how to sit still on a table. There were so many factors to be considered! I had many, but the biggest one was to find the breeds I wanted. For the princess, the original idea was to do a “mean chihuahua” but funny enough, I’ve encountered many in my life and I could not find one when I needed it! So in the end, I decided to photograph a Maltese. The Afghan Hound is a very rare breed, you don’t see any on a daily basis and it was the hardest one to find. 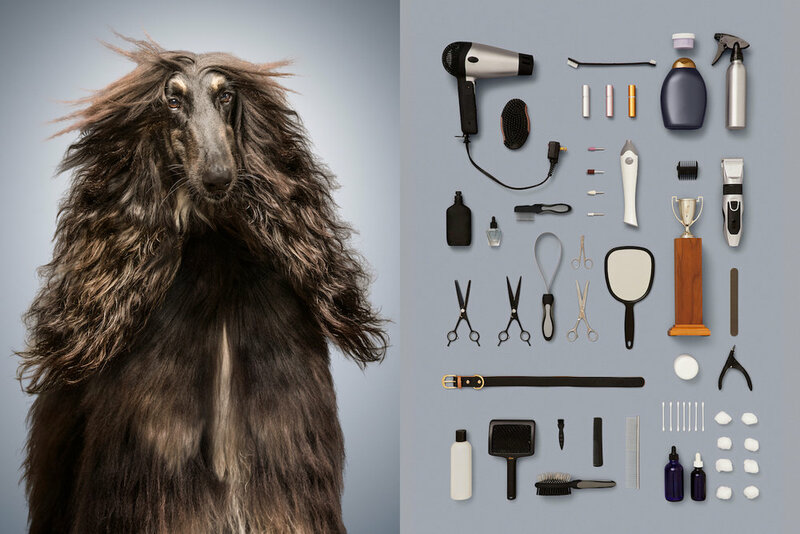 One week before the Dog Portraits photoshoot I still didn’t have an Afghan Hound and I started to freak out. 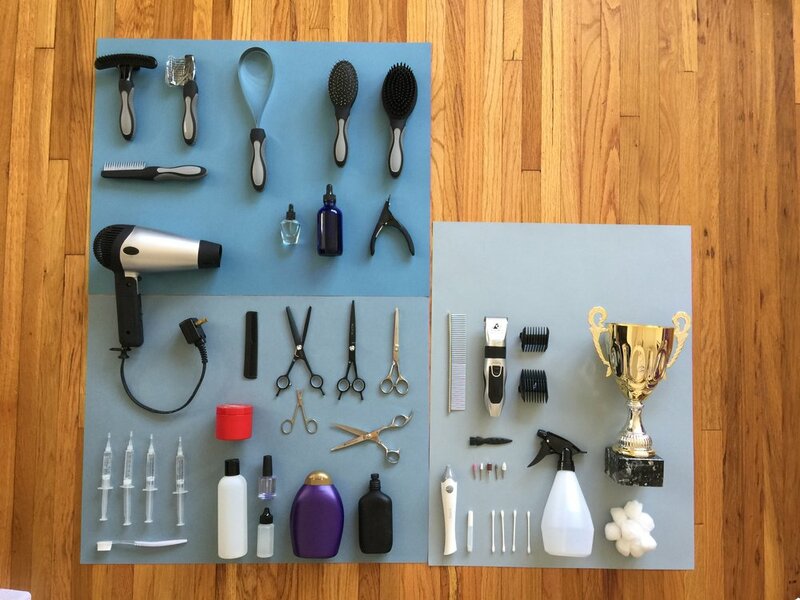 I already had purchased all the grooming items for the knolling. Lucky me, somebody from an Afghan Rescue responded my email putting me in contact with Zig’s owner. 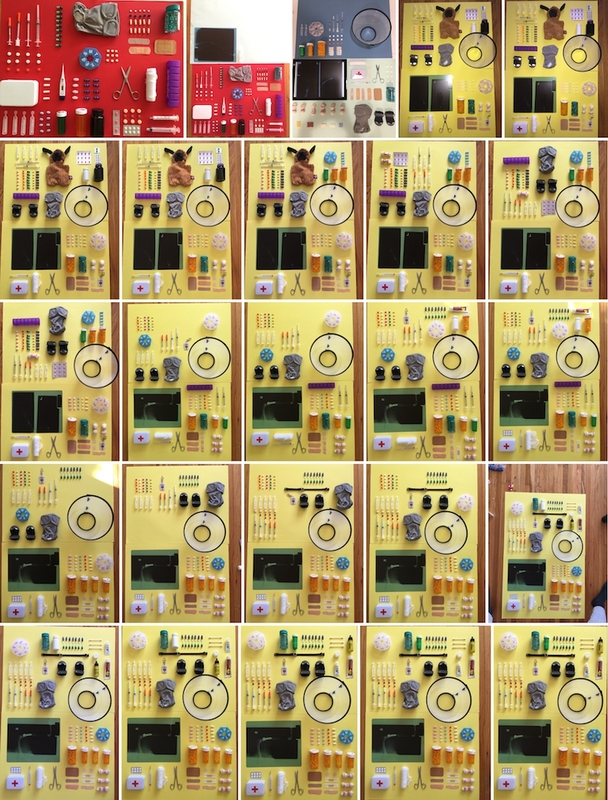 The other big challenge was the ratio of the knolling. Some dogs had more objects than others and some were much larger than others. The space for the knolling was different for each of the pieces, and I neglected to set up the same ratios and proportions. 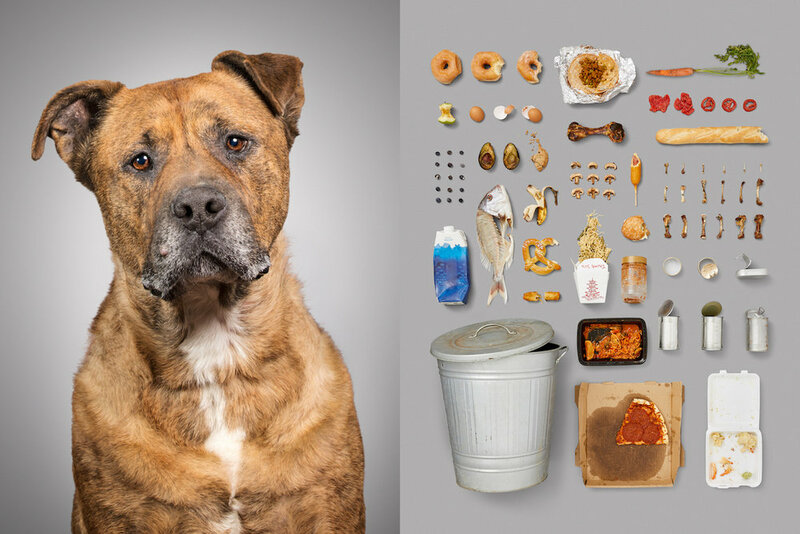 So halfway through the knolling, I realized that the setup for Marmaduke, the Stray dog, was completely square when it had to have a portrait format to match the dimensions of the dog’s portrait. I realized that at the end of the day I had 6 setups and none of them were exactly the same. I had to do quite some work in post-production to match the dimensions. That was a time-consuming process, but having not done this before, I had to learn on the go! You are a seasoned dog photographer and I see you can get a dog to do anything in front of the camera. The portraits of the dog’s sitting still, that looks easy! That’s what I thought! But the dog portraits turned out to be more challenging than expected. I have a wealth of experience photographing dogs, yet that day, if something could go wrong, it went wrong! Except for two dogs that knew how to sit still, the rest were all over the place! There were some good laughing moments, though! 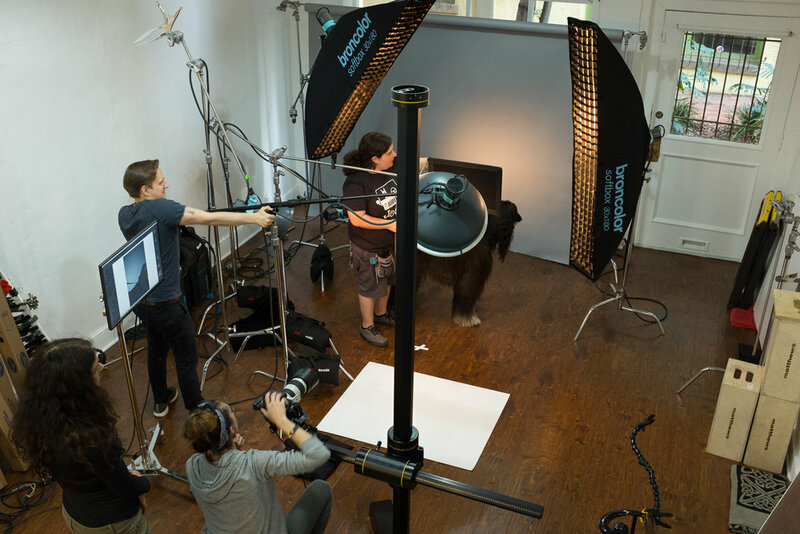 Especially when Bear, the English Bulldog, could not control his excitement when it was his turn and was jumping from the set and smashing things on his way. My idea for his portrait was to have him “serious” with the mouth closed but he could not stop panting! It took 3 of us to calm him down to get the right shot. Or Magda, the Cocker Spaniel that is very old; she hated the be on the table and every time you would put her on it she would jump. So her foster mom was behind the table holding her to reassure her and make her feel more comfortable. I was looking forward to photographing Zig, the Afghan Hound since I’ve never photographed one before. Because he had experience being in dog contests I thought he would be the greatest model. Well, he was far from that! He was very nervous and would look away from the cameras all the time. 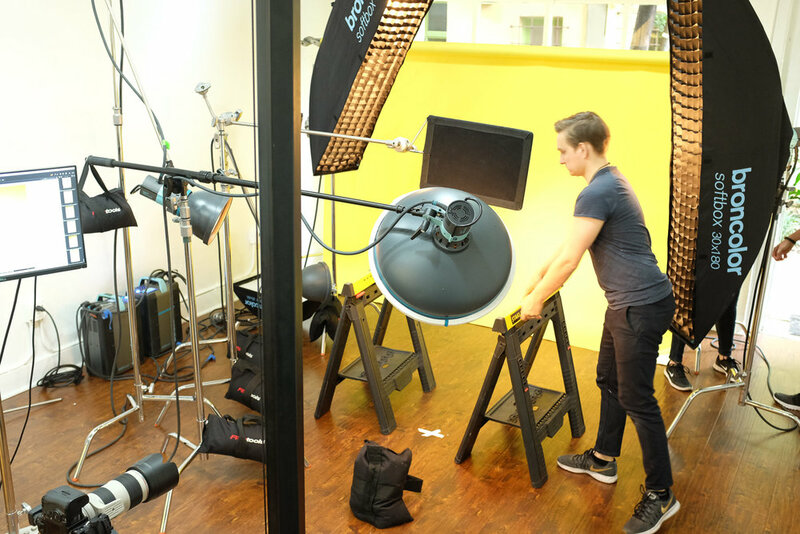 It wasn’t until we comforted him with the hairdryer (which soothed him) that I finally succeeded in getting great images! The items of the Neurotic dog, how did you get them? Some of the items were donated by neighbors. I also bought a lot of things that were new and I used Facebook and Nextdoor to asked if anybody had heavy chewers that could do some custom work for me. Luckily, I found Morticia (Irish Wolfhound, 11 years old) and Kodak (Australian Shepherd, 8 months old) that were more than thrilled to chew one all those “forbidden” things for the love of art! Other people from Facebook and Nextdoor saw my posts and emailed me offering chewed toys from their dogs. It was great to get all that support from people I had never met before. How long did it take you to do this series? From the point of my decision to do it until I finished the images: 3.5 months. 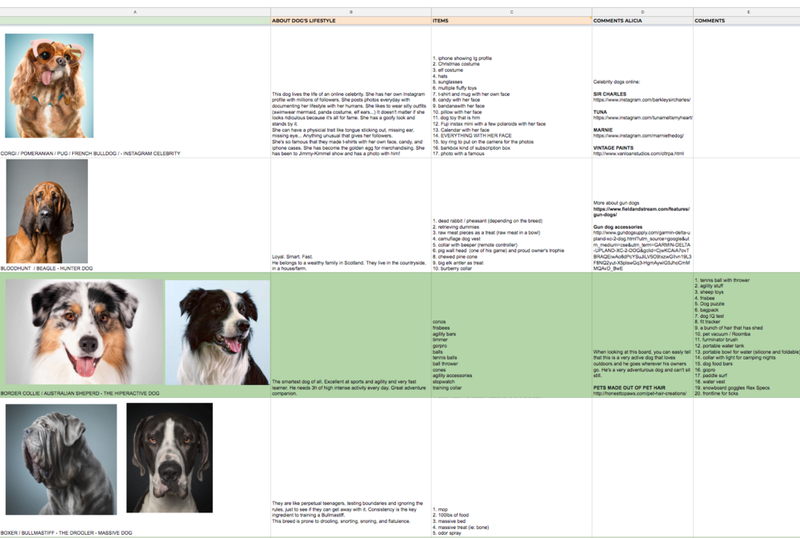 The first 2.5 months was the conceptual part: deciding on the breeds I wanted to photograph and which items I would use per dog. 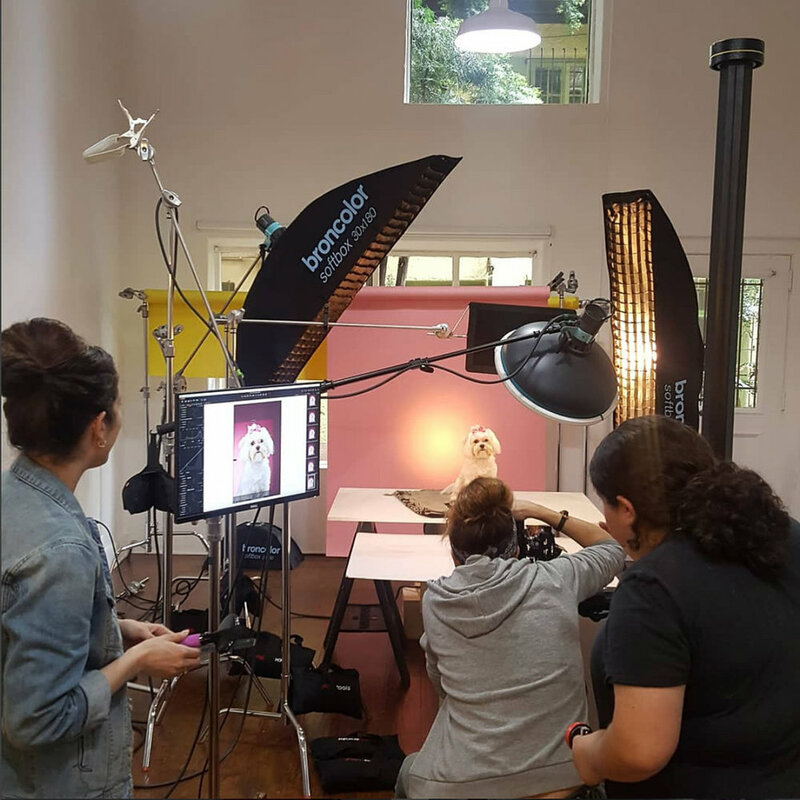 The actual production was done in 3 days: the dogs were photographed all in 1 day and the knolling was done in 2 days. 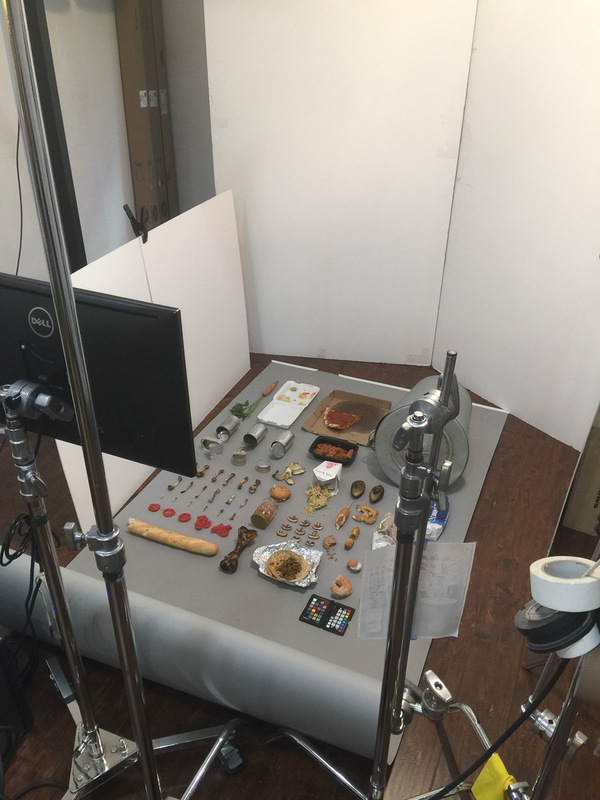 However, for the knolling, I spent many days at home arranging the objects so on the day on set I’d know where things go. After that, I spent 3 weeks retouching and preparing the files. Why didn’t you do it 3 years ago? This was one of those ideas that I had in mind and every time I’d explain it to somebody would really like it. But to be honest, I was a bit overwhelmed with the scope of it in terms of time and money. I’m a lifestyle animal photographer but I wanted to do something out of my comfort zone. Then I had other projects, I had a baby and it wasn’t until I was doing my New Year’s resolution that I decided that it was about time to invest in this personal project. Now that it’s done I could not be happier. And how much did it cost you to produce the series? I spent $6530.83 in total. 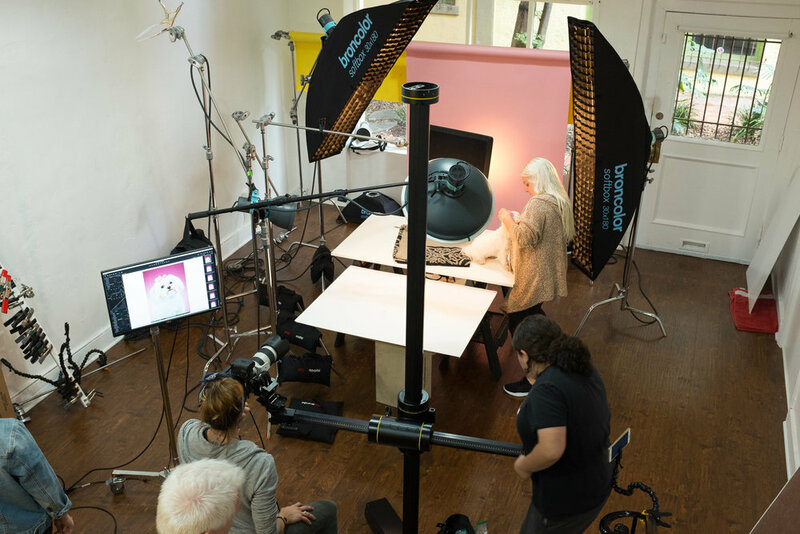 This includes the travel cost, studio fees, crew, food, props and everything in between. Why do photographers do personal projects? Especially when you have to invest your own time and money? From a creative perspective, it is crucial to let potential buyers see how you think creatively on your own. Most of the work I have on my website are commission-based, meaning that I would have to create imagery based on a briefing and that has some limitations. Doing personal projects allows me to do 100% of what I envision under my terms. Yes, it’s expensive and time-consuming but it’s so much fun! Any anecdote that you want to share with us? Ha! Yes… While we were preparing the knolling for the Fetcher, we realized that I was staining the paper with my socks (I guess after many hours working I started sweating!). Since I didn’t have an extra pair of socks I just grabbed my latex gloves and put them on my feet to protect the set but… It was RIDICULOUS. Nobody could take my directions seriously with my chicken feet! It was the end of the day and we were all very tired but, “you gotta do what you gotta do!”. Lastly, what are your favorite photos? My favorite is The Neurotic (Bear), followed by The Senior (Magda). And you? What’s your favorite? Leave a comment below! The Stray: Marmaduke (Shar Pei-Pitbull mix, 8 years old) - He’s up for adoption! To my husband Arnau Bosch for his endless feedback and being so supportive with the entire process, having to put up with food getting rotten in the garage, and dealing with the uncountable boxes of items around the house. Thank you to A Purposeful Rescue and Pacific Pups Rescue for their amazing work helping the dogs in need and bringing Magda (Senior Dog) and Marmaduke (Stray Dog) to the studio for the portraits. 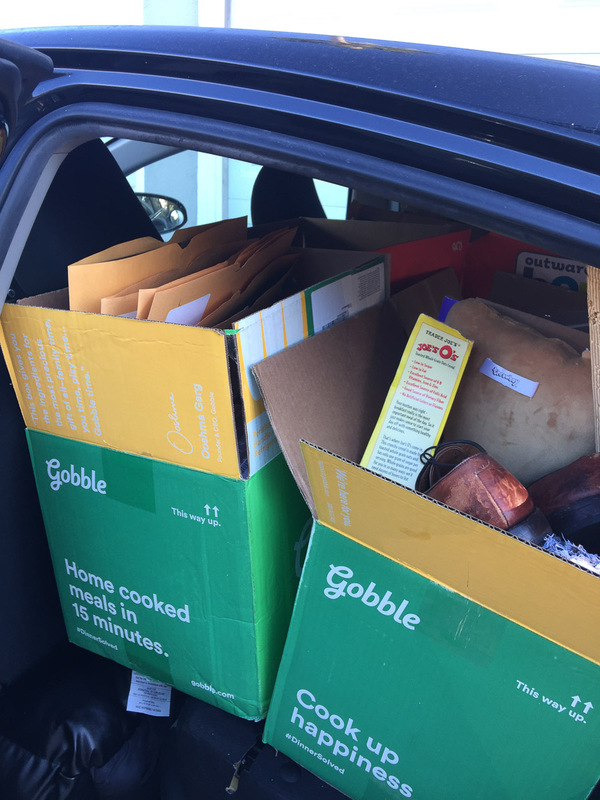 Thank you to Chris Bohmeyer, Majken Horst, Lesley Holden, Jennifer Vaux, Canella Welch, At Wagner, Melina Melor, Tamarra Dawn, Jeanine Jadodowicz, Chrissy Summers, Barbara Feick, Yayoi Roth, Chantalyn Huynh and Simona Otovic for lending and donating some of the items. 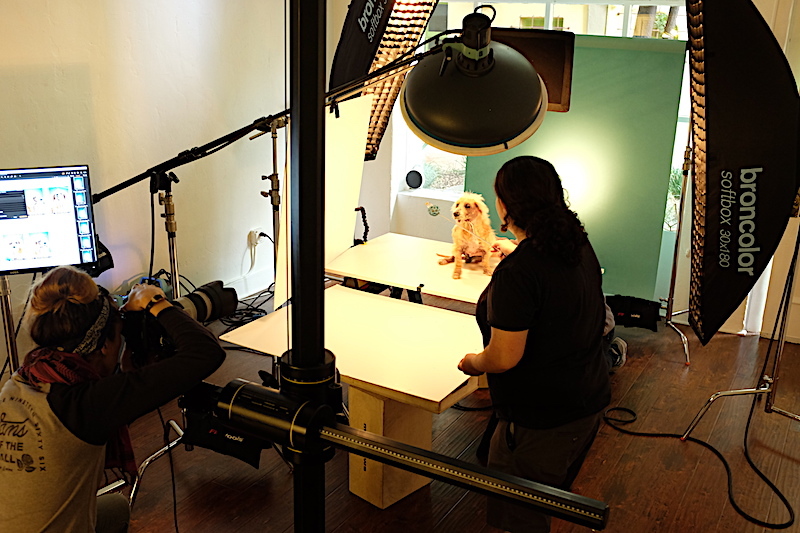 Thank you to all the participants and volunteers who helped me bring this project to life by lending me their dogs for the portraits and helping me collecting the items for the knolling photography.